What is an average price? In instances where you’ve got a range of different prices, it can be useful to simplify the numbers into one single value. Average price is a key calculation when buying goods or services, and investors use it to see how profitable their stocks and bonds are. 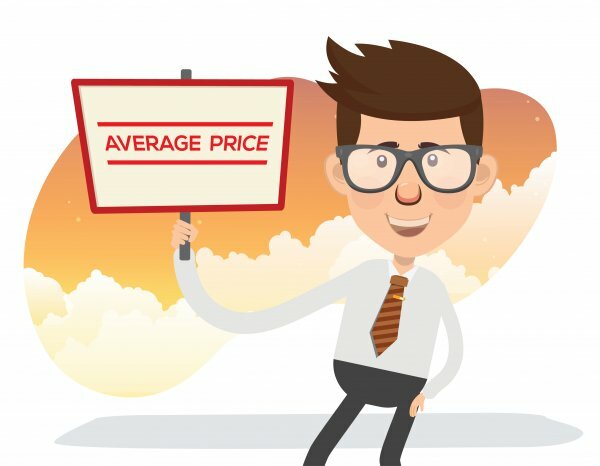 Where have you heard about average price? Average price is used in a variety of everyday situations, from calculating house prices and rent costs to petrol and food prices. Data is taken from various places around a country to come up with the average price of numerous goods and services. Depending on where you live, you may be paying higher or lower than the national average. In terms of investments, many of you will decide to make an initial lump sum purchase of shares of stock and then add to it at different prices. It's important to know what the average price of your stock position is to help you determine whether it’s a profitable investment or not. To calculate the average purchase price of your shares you have to divide the total amount invested by the total number of shares bought. The average price of a bond is calculated by adding its face value to the price paid for it and dividing the total by two.